I’ve always been quite skeptical about holidays in our own little Belgium. Don’t ask me why, because I’ve got no clue. But since I had a few days off before my flight attendant course, why not try out a holiday in our own country? 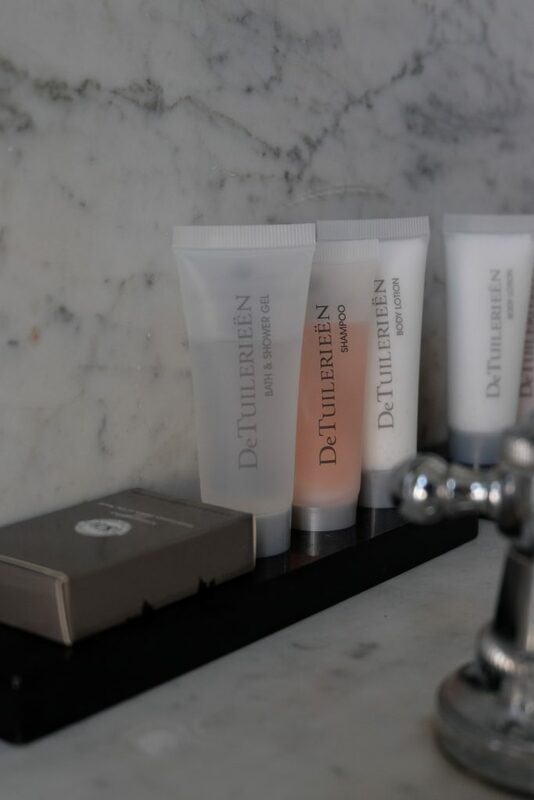 We stayed in the gorgeous Hotel De Tuilerieën in Bruges. Ready for an amazing stay? Let’s start at the beginning. Like I said: my flight attendant course would start on 14 April and I had a couple of days off before the course would start. This was THE perfect time to go on a little trip. Different circumstances mixed together: the opportunity to drive with a Mercedes-Benz AMG A45, a photo shoot for a collab with Passionata and the extreme need to have a relaxing moment with Michaël (boyfriend). Weeks and weeks have gone by before finding the hotel Michaël and I wanted. We’ve searched every day for literally a few hours until we went crazy and called it a day. I’m not the most easy person when it comes to finding a hotel and it’s extra hard to please me when I actually have to do a photoshoot on the location! 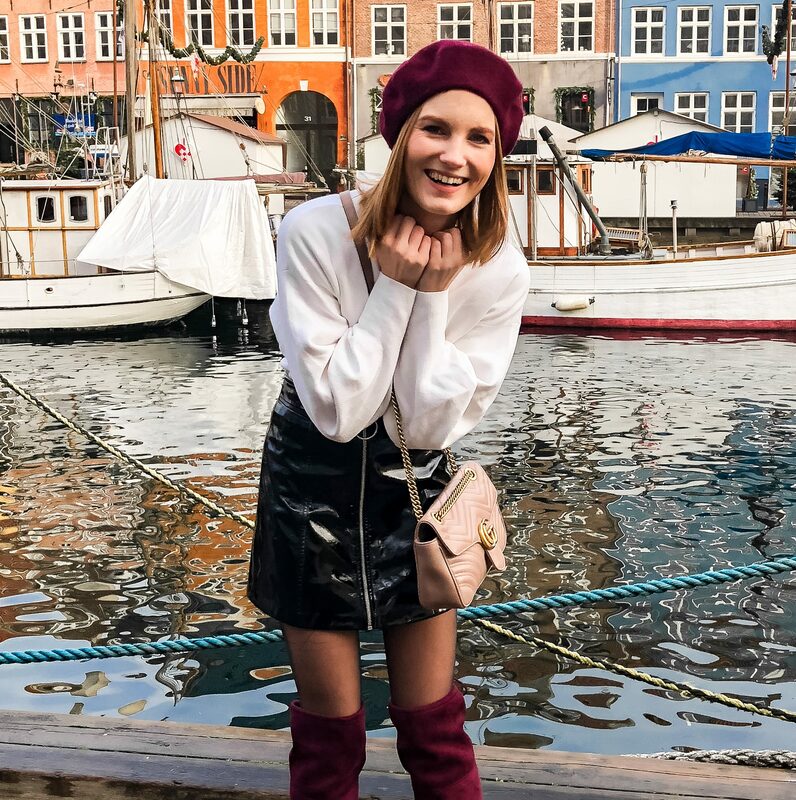 (Bloggers issues ? I have no clue.) 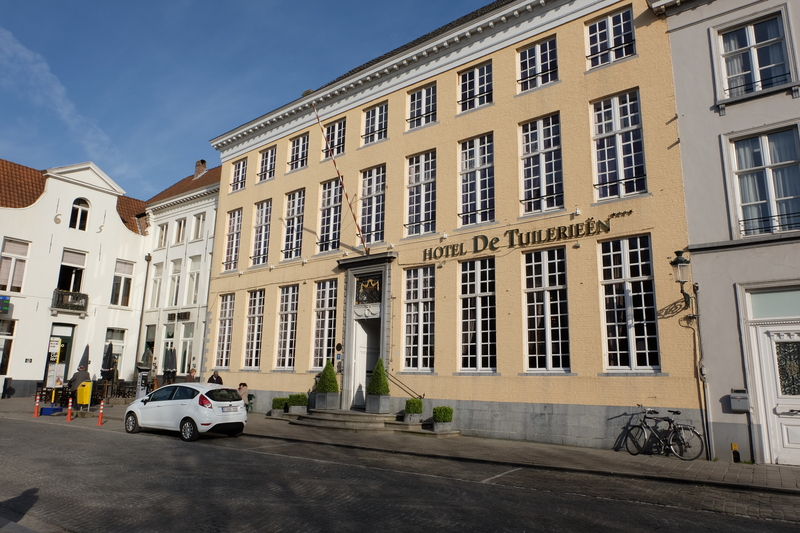 Anyways, after a few mails back and forth to hotel De Tuilerieën, we finally made the decision to book our room. 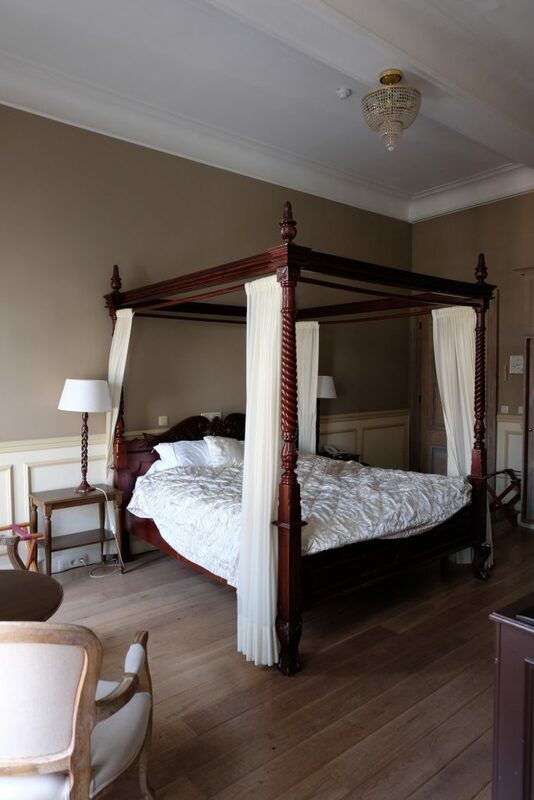 It’s a 15th century Patrician House that the owners rebuild into a 4 star luxury hotel but keeping it’s authentic charm. Every room has free (!!) WiFi. How perfect can this be for a blogger? And then the location … How can you not fall in love? It’s located next to one of Bruges most gorgeous canals called ‘Den Dijver’ and only 50 meters from Bruges Grote Markt (grand place). 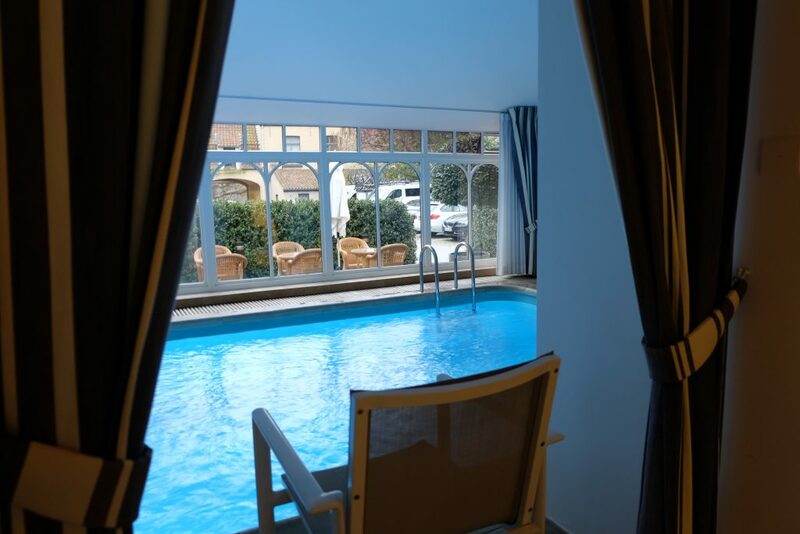 The hotel features a wellness area with sauna, swimming pool and infrared sauna. 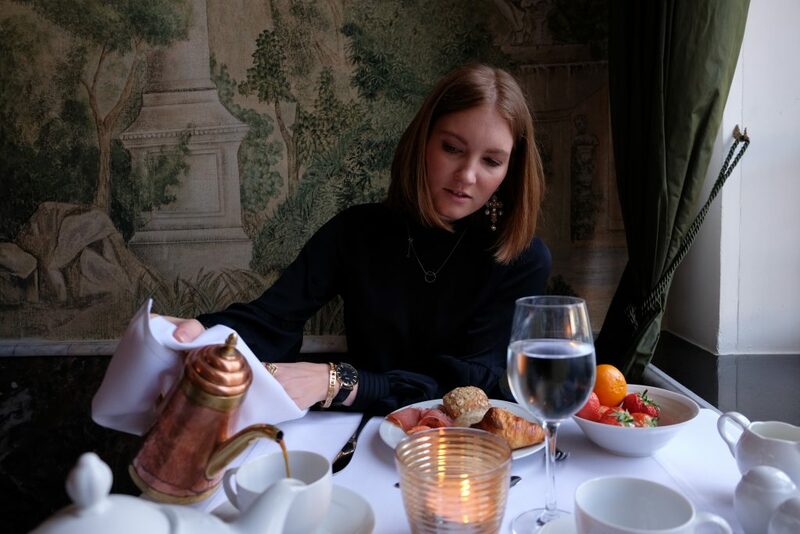 They also served the most luxurious breakfast I’ve ever had with Prosecco and a huge range of fruit, fresh bread and more. We arrived on the 11th of April and we were shocked when we got our room because we had a freaking upgrade!!! For the ones following me on Instagram, you already got a serious preview via Instastories and I received a lot of comments on how beautiful it was. Here are some pictures we took. 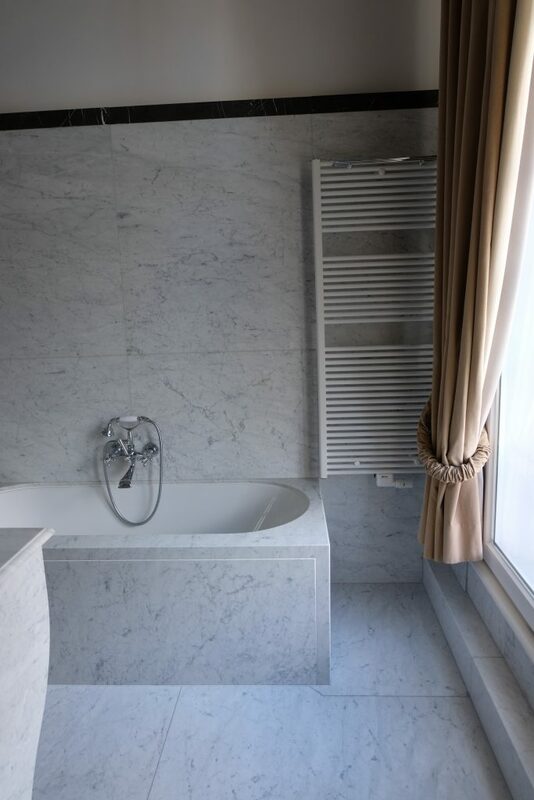 Look at that marble bathroom!! We actually had a view on the canals, breathtaking. Of course the blogger in me wanted to order room service because I’ve always wanted to try that out (#sorrynotsorry)! 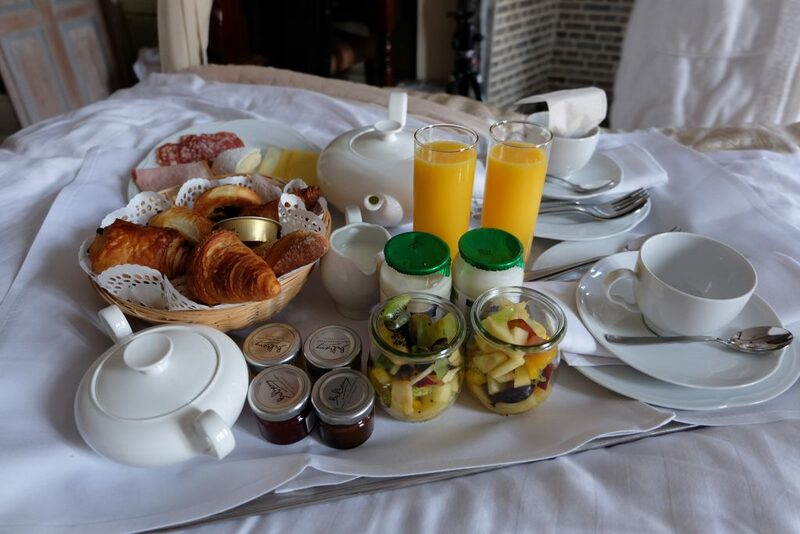 The front desk told us that the roomservice breakfast was a lot less than there was displayed in the breakfast area, which is of course very logic. 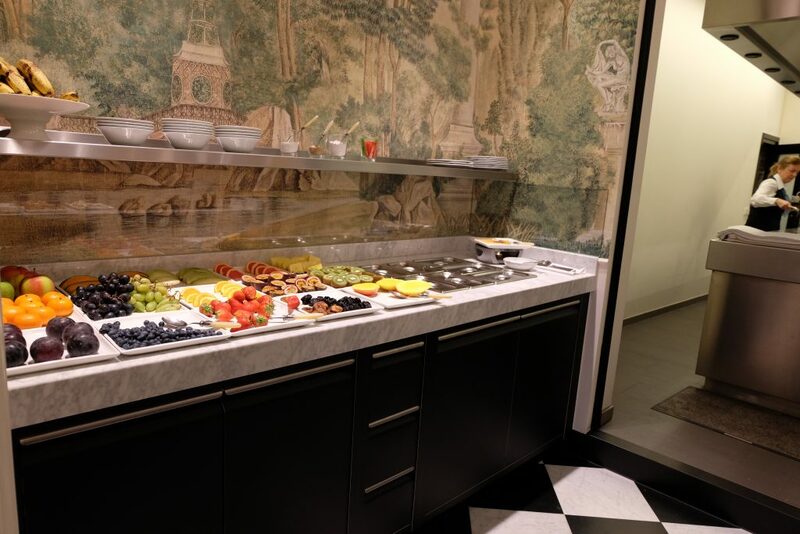 It’s very hard for the personnel to bring every single item of the buffet to your room. Nevertheless, this breakfast was perfect. Everything I needed was included and it was delicious. What else could a food lover want? But I also ate like normal people, just to blend in a little more. They had a huge selection of fresh fruits, bread rolls, sweets, jam and so much more. Coffee was served in the cutest (but extremely hot) copper can. Is three times too much to go back to the buffet? If so, whoops! At the end of day two, Michaël and I tried out the wellness area. It’s small but so comfy. We were lucky because we had the place to ourselves. 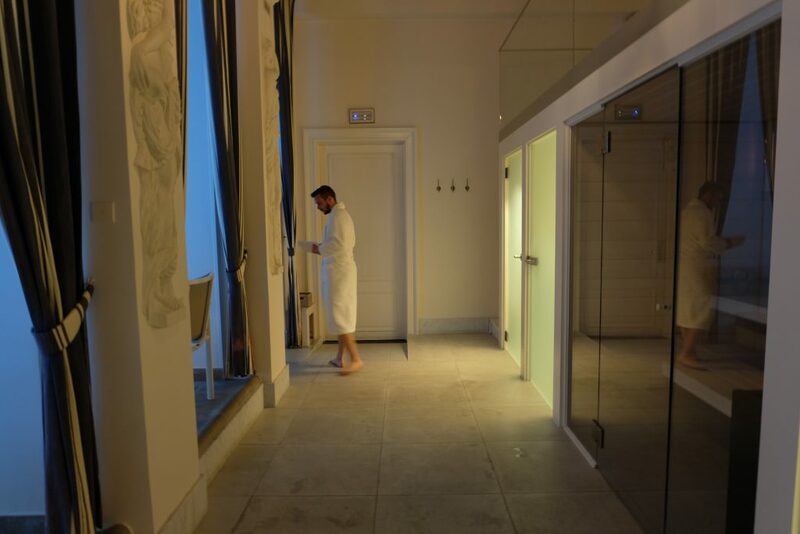 The wellness area had two sauna’s: infrared and regular, a swimming pool and a relax space. All very clean and tidy with a towel display incl. a water dispenser. I slept like a baby afterwards. Not much more to add to this blogpost. 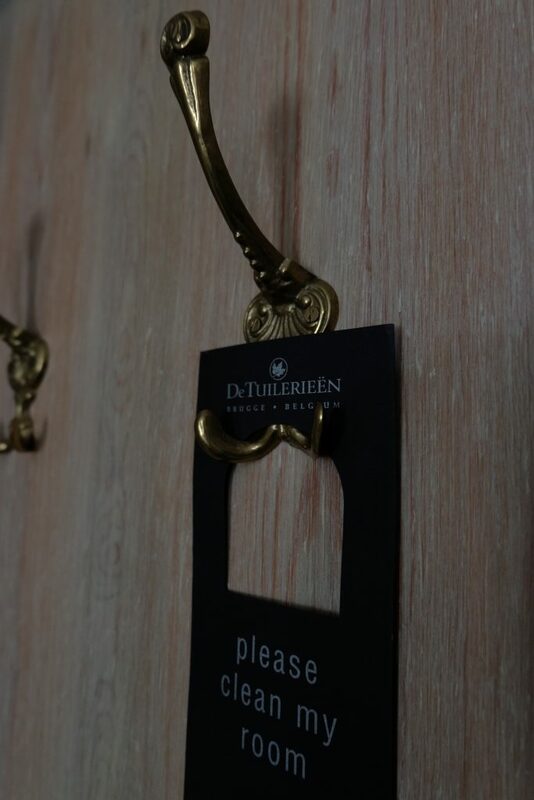 We were really treated like king and queen, like every guest staying in Hotel De Tuilerieën. It was amazing, perfect and just what we both needed. Thanks for making this stay unforgettable.